One of the things I like most about photography is capturing images of interesting people. It is always an good exercise to have the camera in hand so that should an opportunity arise you can “get the shot”. This week in the blog I shall include photos of people I’ve met on the street. 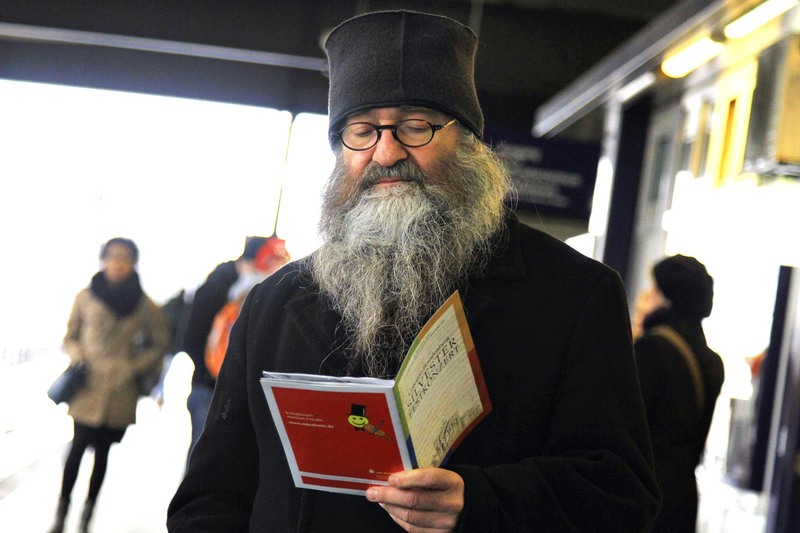 This man was a Greek Orthodox priest in the train station.